There’s no need to leave Mallorca for medical and surgical treatment. The island is home to excellent specialists, clinics, and hospitals – offering multilingual services. 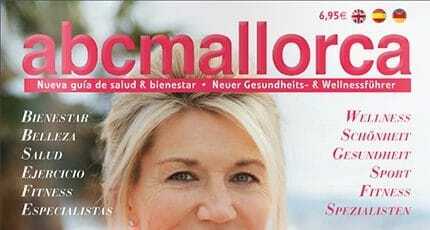 Medical care and the medical standard in Mallorca are very good. In addition to Spanish doctors practising on the island, many German and British doctors work in almost all disciplines. Check your health insurance in advance, whether benefits are wholly or partially covered. In the directory at the back of this guide, we have listed GPs in all parts of the island, who can also recommend, if necessary, an appropriate specialist. Many of them speak English, Spanish and German. Of course there is also a National Health Service in Spain. On the Balearic Islands it´s called ‘Ib-Salut’, and every tourist and resident can make use of it. Every village – and every district of major cities – has its own health centre (‘Centro de Salud’). They ensure basic medical care; major surgeries are not performed there. Mallorca offers numerous private clinics, where you can usually be treated without waiting time and undergo any necessary surgery. Patients are accommodated in single rooms, where an extra bed is available for an accompanying person. The technical equipment of hospitals is progressive and up to date. Some of the latest technologies can be found only in private hospitals. The clinics strive to attract the best specialists in all disciplines and offer a good service, with several languages spoken. In Palma, the main ones are: Clínica Rotger, Clínica Capistrano (specialising in addictions and rehabilitation), Clínica Picasso, and Palma Clinic. The four major public hospitals in the Balearic Islands (two in Palma, one in Inca and in Manacor), each cover healthcare in their particular catchment area. In an emergency, any hospital will treat you, no matter where you live. These hospitals provide a translation service for multiple languages – usually staffed around the clock. Anyone with a European (EU) health insurance card can be treated if carrying their indentity card. In addition, several private hospitals cover a wide range of medical fields. Staff skills and technical equipment meet international standards. Treatment and accommodation are only possible with payment. Costs may not be, or may only partially be, reimbursed by statutory health insurance. Find out in advance if your private health insurance company covers treatment there. As well as 16 medical centres and 21 emergency centres, health multiplayer Juaneda operates three private hospitals in Mallorca: Clínica Juaneda and Policlínica Miramar in Palma, and the Clínica Juaneda in Muro. Policlínica Miramar and Hospital Quirón Palmaplanas are in Palma. In Porto Cristo, there’s the Hospital Sanitario de Llevant, and in the southeast, the luxurious Hospital Clinic Balear. Public hospitals all have emergency departments (‘Urgencias’). The emergency phone number is 112, is free, and supported by all networks. If necessary, calls are redirected to an English- or German-speaking operator. The emergency service of ‘IB-Salut’ has its own number: 061. Emergency vehicles include medically-staffed ambulances, a helicopter, and two planes. Larger government health centres – known as PACs (‘punto de atención continuada’) – offer 24-hour emergency treatment. The Red Cross deals with emergencies on beaches and at major events. Most doctors – in private surgeries and specialist centres – are available on call. In the event of suspected poisoning, phone Natiosssnal Poison Control on +34 915 620 420. Pharmacies (‘Farmacias’) are recognized by the flashing green cross outside their premises. The addresses of the emergency pharmacies (‘farmacias de guardia’) are usually noted in the window. Search for a local pharmacy on www.cofib.es. Drugs are often cheaper than in other countries, and a prescription is not always necessary. Regular eye checks (usually free) not only diagnose vision problems, but also detect early-stage eye diseases such as glaucoma and macular degeneration. There are numerous optician’s shops on Mallorca, offering vision testing, choice of fashionable eyewear frames, manufacture, repair, and adaptation (for sports use) of glasses. 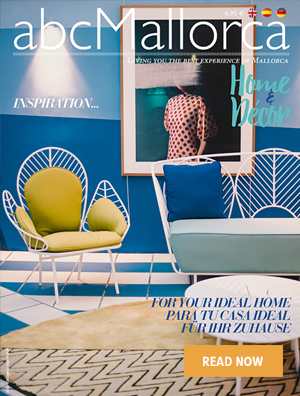 In Palma, there is Optica Planas; German optician Frank Hess is at Optica Paguera, with its own workshop; Optica Palma Nova also welcomes children over the age of three, and manufactures children’s eyewear, and inland, there’s Optica Santa Maria. Chains include Opticas Florida (in-house contact lens studio and 24-hour delivery for new/replacement glasses); Multiopticas (Palma, Manacor, and Festival Park Marratxí) has its own eyewear brand and offers organic anti-reflective lenses, even for varifocals. Laser surgery is an effective solution for vision deficiencies, and avoiding the need to wear glasses. Some renowned ophthalmologists work at the Institut Oftalmic de Mallorca (two branches in Palma, one in Inca), carrying out refractive surgery here for more than 20 years, to correct nearsightedness, farsightedness, astigmatism and presbyopia. At present this is the only centre in the Balearic Islands that uses the latest IntraLASIK system. Among other languages, Arabic is spoken. Snoring, sleep apnea, and tinnitus are just some of the conditions that are treated under the medical specialisation of ENT – ear, nose, and throat. Mallorca offers some excellent services in this discipline – known as otolaryngology. Group practice ENT Mallorca is based at Clínica Juaneda – as well as in hospitals and specialist centres in Inca, Manacor, Llucmajor, Alcúdia, and Muro, treating all ENT-related diseases and conditions. Specialist Dr Johannes Gessner has his private practice at the International Medical Centre, Porto Pi, covering the full ENT spectrum, using the latest diagnostic techniques. He specialises in paediatric ENT and performs medical diving examinations. Thomas and Bettina Eigel ran their own ENT practice in Germany for 10 years, and are based at Clínica Picasso 57; Bettina also manages a location in Paguera. Loss of hearing impacts on social life and the ability to enjoy music and other pleasurable sounds. Improved diagnostics and new-generation hearing aids are widely available on Mallorca, either in special hearing-related centres – such as Buen Sonido (in Palma, Santa Ponsa, and Manacor), Cottet Audio (founded in 1902), Audífonos Manacor, and Mallorca Audio. An increasing number of opticians – such as Alain Afflelou (Palma and Manacor) – have specialist hearing departments. Our skin is the most important – and largest – organ of our body, protecting us from temperature extremes, sunlight, and toxins, in addition to its other functions. This versatile and flexible organ deserves good care and treatment, particularly in the setting of a Mediterranean climate. For general skin problems – including acne, allergy problems, eczema etc – most hospitals on Mallorca have their own Dermatology and Venereology Department. Clínica Rotger specialises in surgical dermatology and aesthetic medicine. There are several dermatologists working in private practices, covering the full range of medical skincare. Among these, Dermatology 2000 also offers paediatric dermatology, and cosmetic skin treatments. Derma Clinic offers general and aesthetic dermatology. Skin cancer should be a real concern when living in a sunny climate, and regular screening is advisable – particularly for those with sensitive northern European skin or a family history of the disease. Any abnormalities should also be checked promptly by a specialist, such as dermatologist Cordula Ahnhudt at mySkin. Dermatology 2000 offers video-based skin-cancer detection and surgery. Derma Clinic at the International Medical Centre in Palma specialises in skin cancer prevention and treatment. Laser treatments for skin problems are offered by mySkin. Dentists from different countries, many from the EU, have settled on Mallorca and offer all kinds of services in this field. And at prices that often are significantly lower than, for example, in England or Germany – because they have relatively low additional costs. Mallorca offers all dental procedures through to orthodontics at the highest standards, and several implant specialists. Many stress-free treatment methods are available. 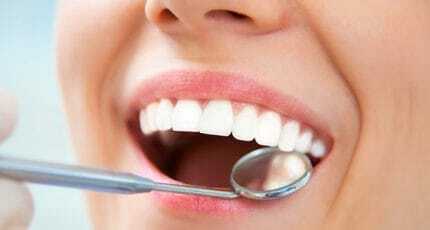 Homeopathic amalgam drainage or usage of tea tree oil and aloe vera products are almost standard. Even those with a phobia of dentists will find suitable treatment. Major hospitals have their own dental clinics including Clínica Dental Palmaplanas, Dental Clinic and Hospital Miramar Sanitario de Llevant. As with dental practices, they cover aesthetic dentistry, including teeth whitening, porcelain veneers, porcelain crowns, teeth straightening, and gingival treatments with lasers. Dental services available at individual practices vary; check with those listed in the directory to see if they offer what you need. Bendinat practice Dentacare recommends a visit to the hygienist before dental treatment, to give the dentist an unobstructed view of any small problem. They also offer tooth-whitening to remove nicotine, coffee, or red wine stains. Most dental practices have a hygienist. Combining relaxation with beauty treatments on holiday has become attractive for tourists on Mallorca. Whether retouching small cosmetic defects, rejuvenating the appearance, or improving one´s body shape: the island offers a growing and diverse range of aesthetic medicine. International specialist teams provide the highest quality and patients can choose from a variety of innovative treatments: pure cosmetic techniques which do not require any surgery or cosmetic surgery. B + M Paris is the Mallorca branch of the French company, based in Palma de Mallorca, and using the renowned French expertise in maintaining natural beauty and softly improving it. Their six-member team offers a variety of up-to-the-minute anti-ageing treatments, including wrinkle treatment with Dutch-developed volume-filler Ellansé, which stimulates collagen production in a natural way; the effect lasts three to four years. Excessive sweating is embarrassing and uncomfortable, but can be treated at Clínica Morano, run by the experienced Dr Alberto Morano Ventayol – currently Professor of Aesthetic Medicine at the University of the Balearic Islands. He and his team offer a range of aesthetic treatments for men as well as women. The clinic also offers special holiday treatments, with short recovery periods. In Inca, Medisan’s team covers the whole range of cosmetic medicine, including the removal of unwanted tattoos. Whether it’s a desire to improve or enlarge your breasts, or seek reconstruction after a mastectomy, there are several specialists on Mallorca working in this field. Dr Ramón Llull is a pioneer in the process of stem cell therapy and offers this modern and advantageous technique at the Stem Center at Quirón Palmaplanas Hospital in Palma. Natural-looking results are achieved in breast augmentation, reconstruction, and replacing faulty silicone implants. Unlike silicone implants, after autologous fat transplantation there are hardly any complications, and scars heal well. It is said that stem cells provoke the production of new blood vessels that nourish and preserve the transplanted tissue. Surgeon Dr. Marta Payá Gallego is an expert in plastic, aesthetic, and reconstructive surgery, and founder of the EónClinic Palma. Two methods are used to enlarge and beautify breasts: silicone implants and stem cell therapy from body fat. The silicone implants – in either a round or teardrop shape – are sited behind the natural breast tissue or beneath the chest muscle, depending on the patient’s breast tissue, skin, and muscle structure. Augmentation of the buttocks is also possible here. Rhinoplasty – or nose reshaping – could be the solution for a nose that bothers its owner because it’s too long, too short, or has a hump. Whether it’s size or shape, or simply the desire for something more flattering in the centre of the face, Dr José Ignacio García Ceballos listens carefully to the concerns of his patients. The Spanish cosmetic surgeon worked abroad for years in the UK and Belgium before founding Mallorca Medical Group in Palma in 2007. For surgical rhinoplasty, facial features are first analysed from all directions. The inside of the nose is examined and checked whether it is fully functional. Then the doctor tells the patient what type of correction he would make. The ultimate goal: The nose will look natural after surgery, so the shape is not completely changed, but harmoniously adapted to the facial features. José Ignacio García Ceballos, incidentally, was one of the first on Mallorca to offer beauty treatments combined with holidays. On request, the complete consultation can be done over the internet and phone. The patient comes only for the actual surgery. Drooping eyelids are often caused by excess skin or small fat deposits on the upper eyelids – through age-related decrease of elasticity of the connective tissue. Hanging upper eyelids can also be congenital, making the person look tired. Sometimes this even provokes pathological symptoms such as headache, as people with drooping eyelids tend to automatically tighten the forehead. 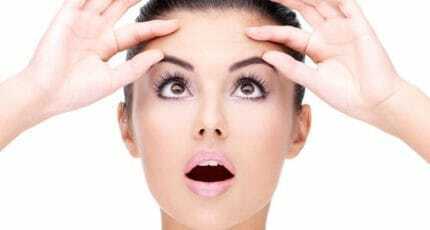 Blepharosplasty – or eyelid tightening – can correct this problem surgically. Surgery is ambulant with local anaesthetic. The surgeon removes loose skin. Depending on the case, they also reduce flab and muscle tissue to obtain the desired tightening. Asymmetry between right and left eyelid can be corrected by removing two differently sized strips of skin from the right and the left upper eyelid. The Balearic Institute of Ophthalmology at the Policlínica Miramar has been caring for all eye-related matters since 1998, and undertakes this type of surgery. The expert team consists of 17 specialist doctors, including Dr Michel Tazartes, who is responsible for eyelid, tear duct and eye socket surgery. Getting rid of superfluous fat without surgery – this dream comes true with new techniques available on Mallorca. One of these is ‘Lipolaser’ which, in one single treatment, can remodel and streamline affected areas with the help of laser beams. Typical areas with fat deposits are abdomen, hips, back, chin and buttocks. Fat cells are irradiated with the laser after local anaesthesia, and then eliminated through liposuction. Ultra-fine and flexible optical fibres deeply penetrate into subcutaneous connective tissue. The connective tissue is reduced, skin tightens automatically, and cellulitis is reduced. The results are visible after ten to fifteen days. On request, the extracted fat can be used to bolster other parts of the body. Facelifts have improved dramatically in recent years, with more natural-looking results now possible from a range of different techniques. Dr Tim Liesenhoff from the Marigan Clinic in Palma specialises in facelifts – which he favours over Botox and similar treatments for sagging facial and neck skin and muscles. His procedures include a complete facelift – the effects of which should last eight to ten years. Others are a softer endoscopic facelift, and neck-lift (under local anaesthetic). Pre- and post-facelift treatments are offered in conjunction with procedures. For a more natural approach to rolling back the years (at least for one’s appearance) Gabriela Biasini of Basic Natural Healing offers a soft and natural method of facelift by acupuncture. The naturopath and head acupuncturist sets 50 fine needles into fifty points on the face and body, with some directly into wrinkles. This stimulates certain meridians to provide better skin oxygenation and the needles penetrate into muscle tissue, tightening the skin’s top layer, improving hydration and accelerating cell renewal. This form of facelift acupuncture has a cumulative rather than immediate effect, and should be practised once or twice a month for a year, with subsequent maintenance sessions. We hope you have found this article about the Your medical doctors, clinics and hospitals useful and that you have many memorable stays in Mallorca as a result of our recommendations.